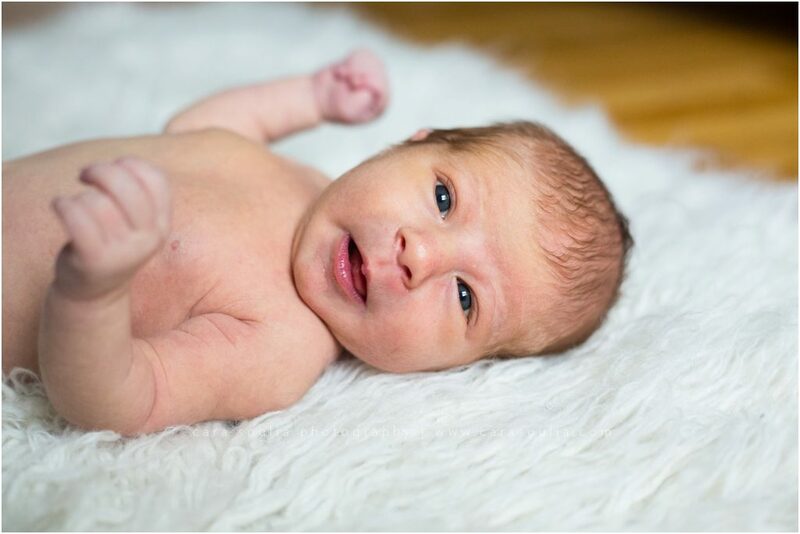 Welcome Margot, 12 Days New! 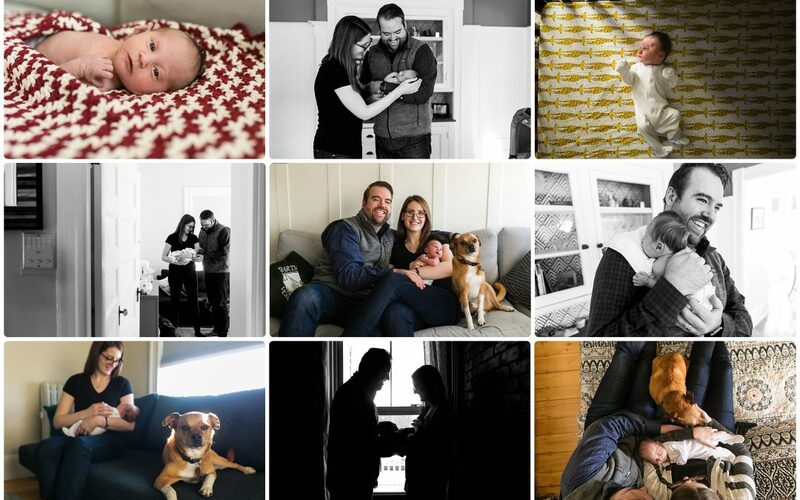 In late December, this sweet family invited me to their home in Brookline, MA for a newborn photo session with their brand new little baby girl, Margot. 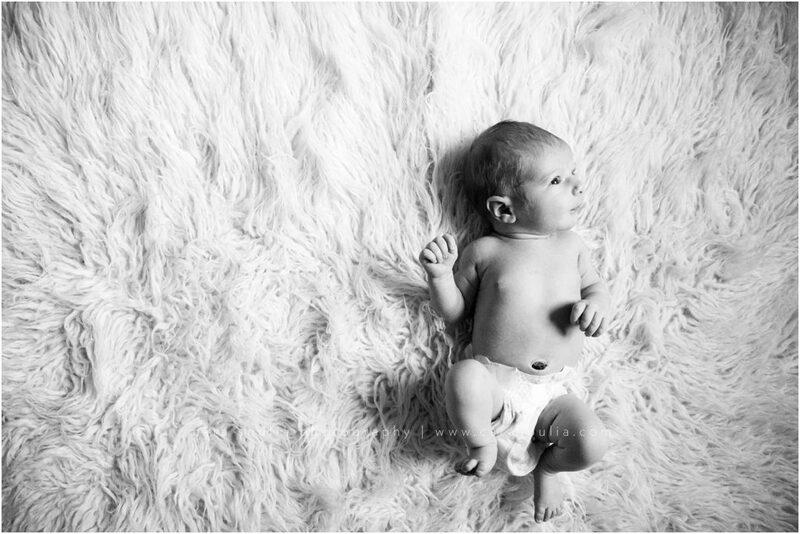 Margot was 12 days old at the time of this session. 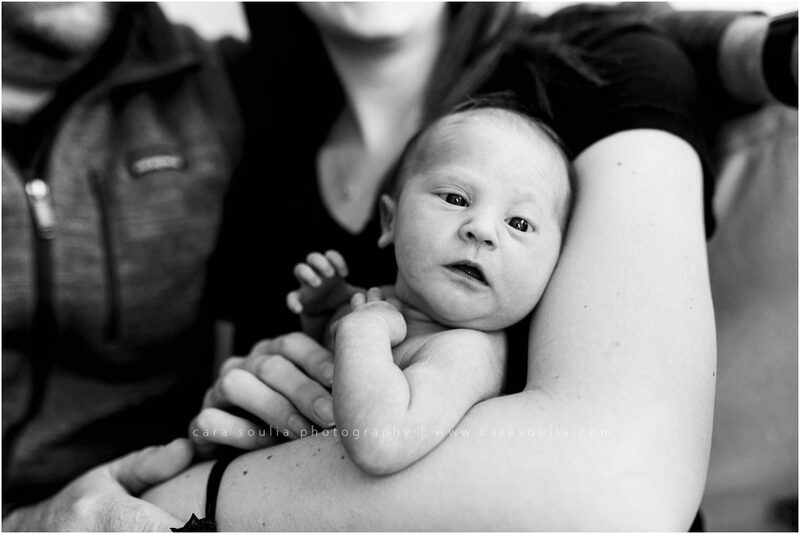 She was so adorable and calm during the shoot but because she was a little older, she was very alert as well. 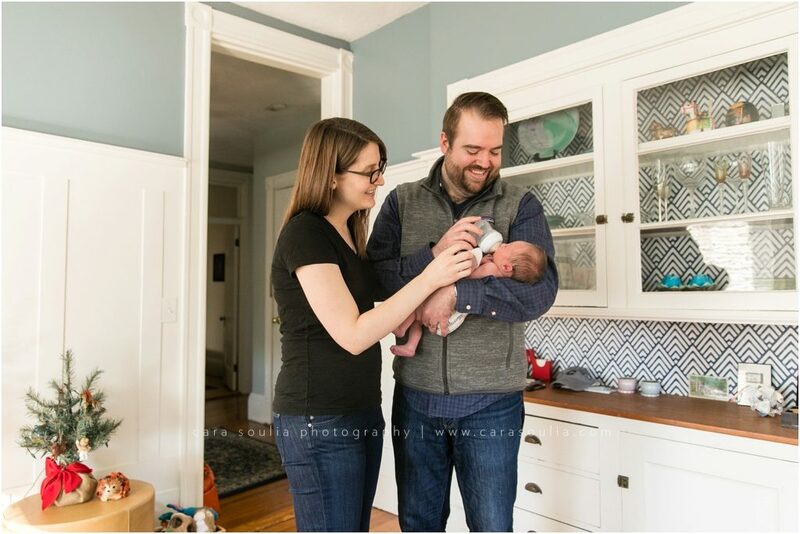 Margot’s mom and dad are first time parents, and I could tell upon meeting them that they were doing a great job. 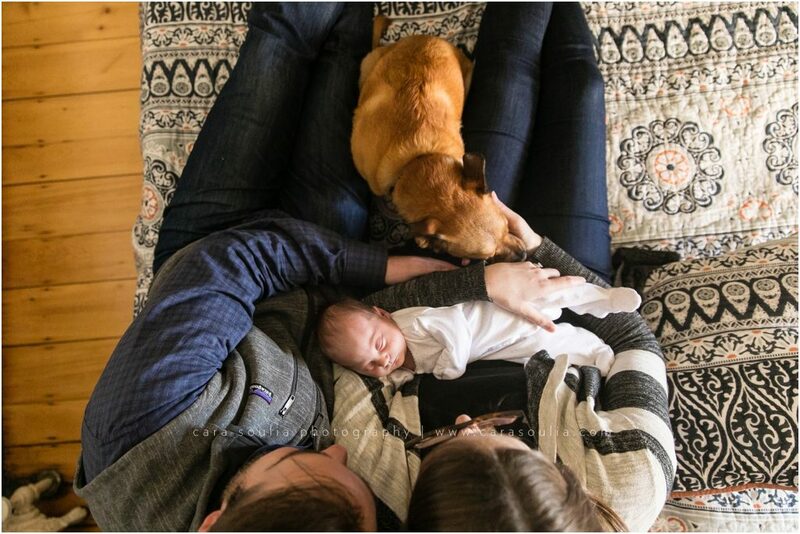 They were relaxed for just having just had their first baby. 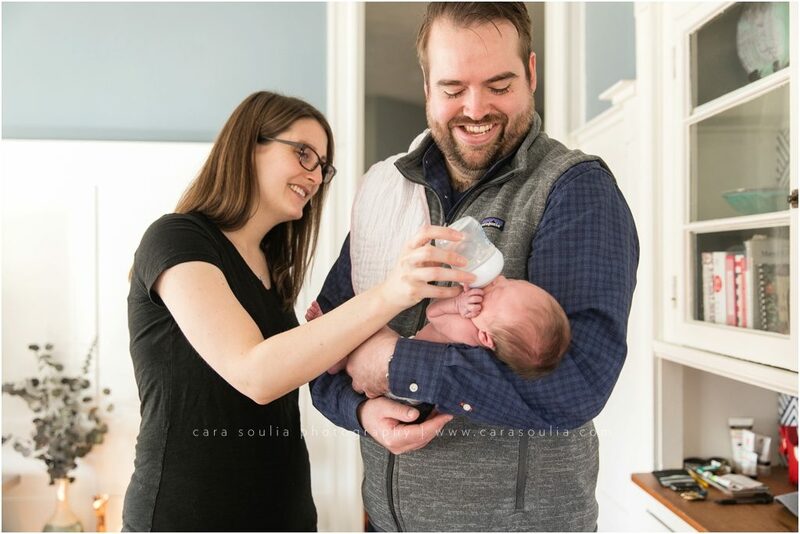 I remember being so worried all the time when I first became a mom, so I’m always impressed by people who seem to have their act together like this. 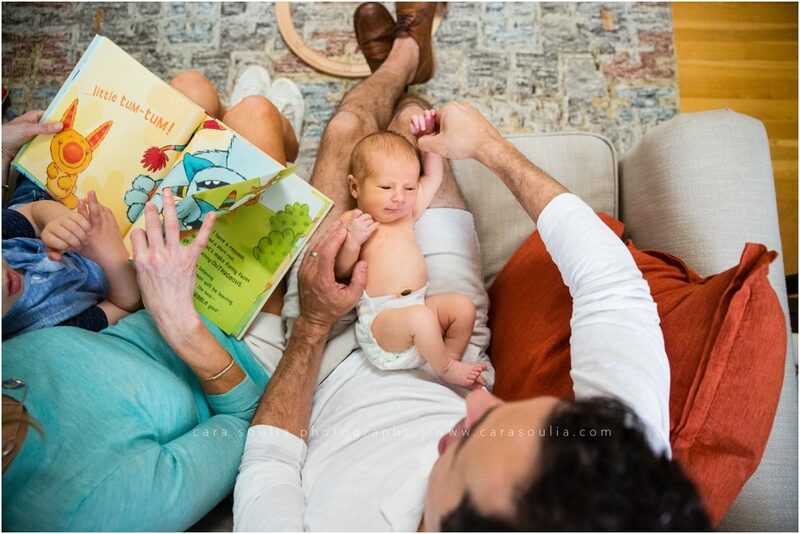 Those first few weeks can be ROUGH, so it’s always great to see parents taking it in stride! 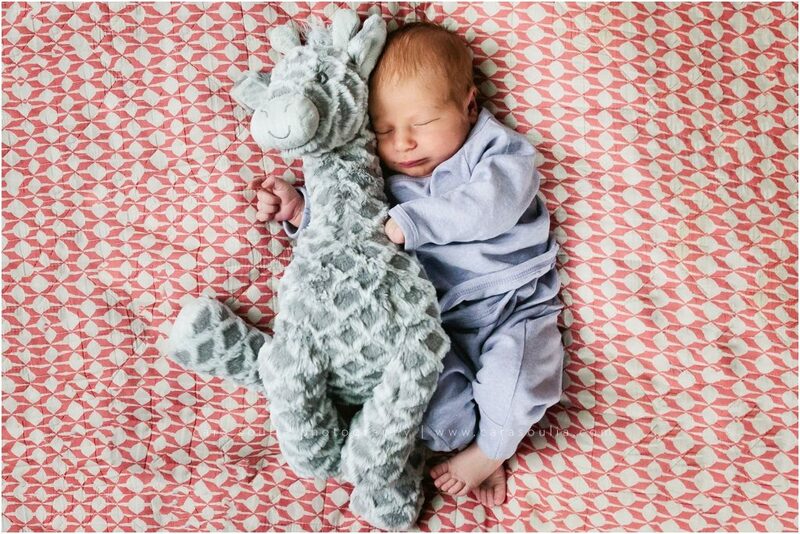 Dad called me after they had already had Baby Margot. 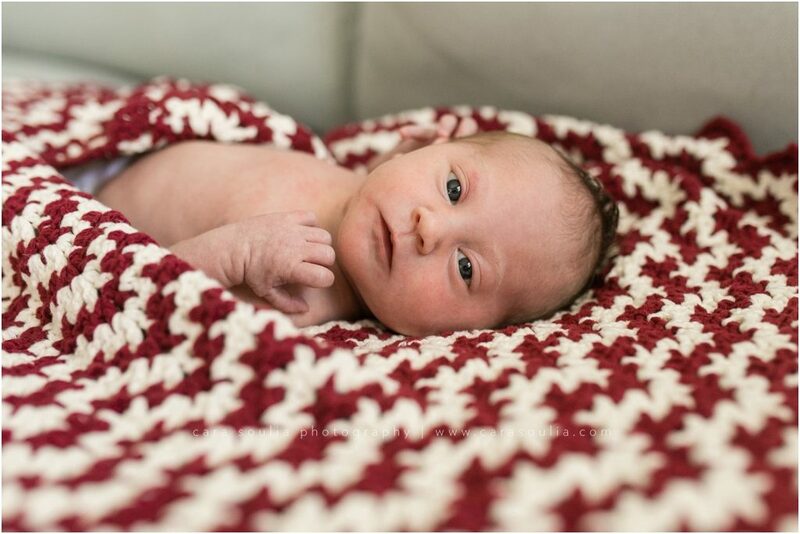 He mentioned being a little last minute on scheduling a photo shoot but I always leave room in my schedule for newborns! 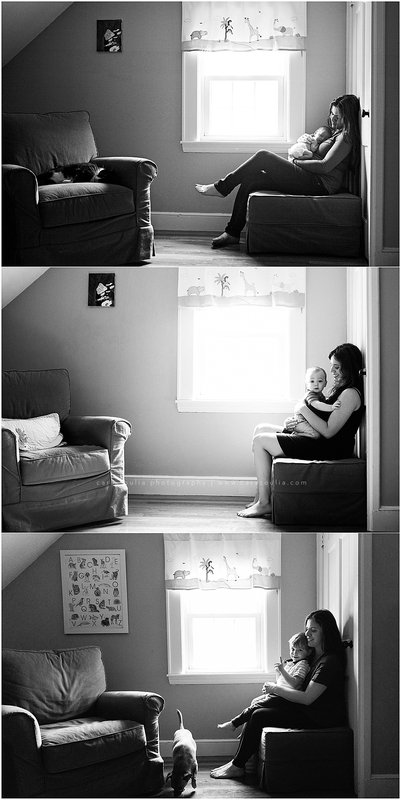 It’s hard, especially the first time, to plan and think of everything for when the baby comes. 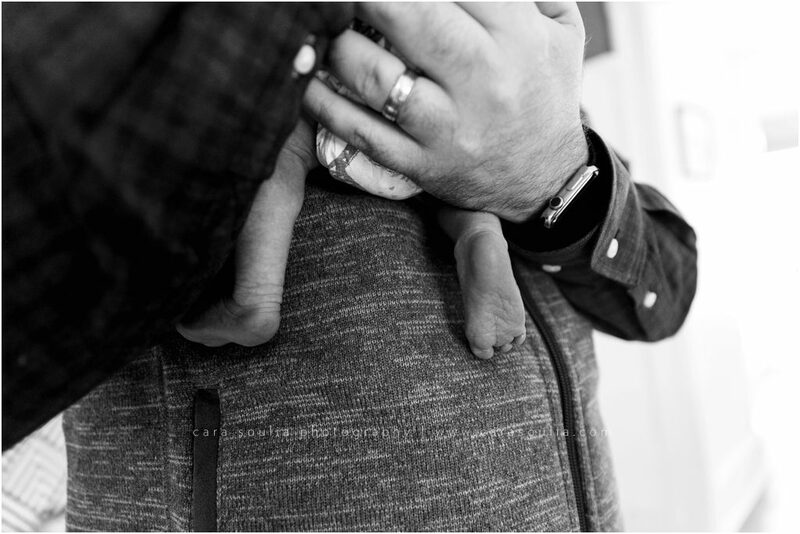 Sometimes, it’s just unexpectedly early. 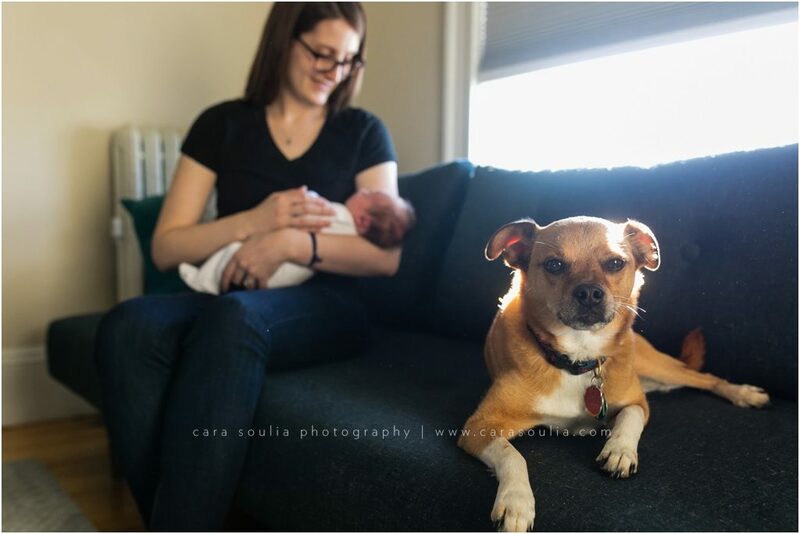 I get it! 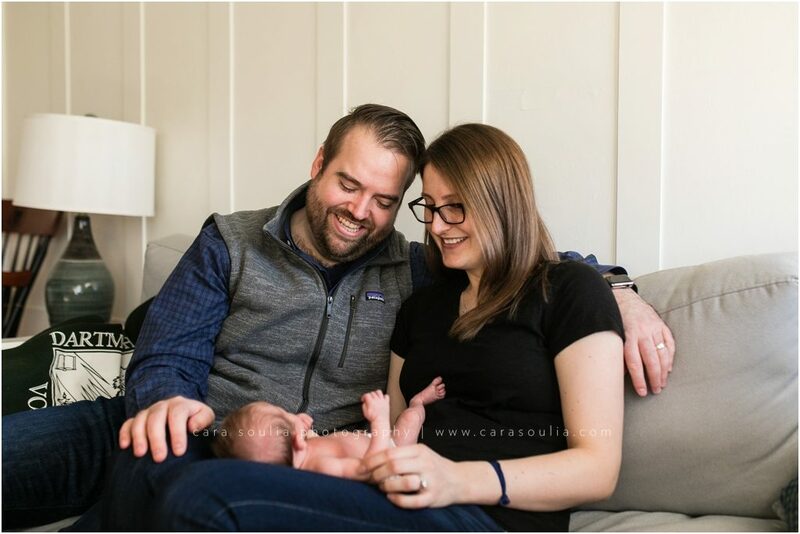 So, I always save a little extra room on the books for people who need a newborn photographer and are trying to find one in the first few weeks. 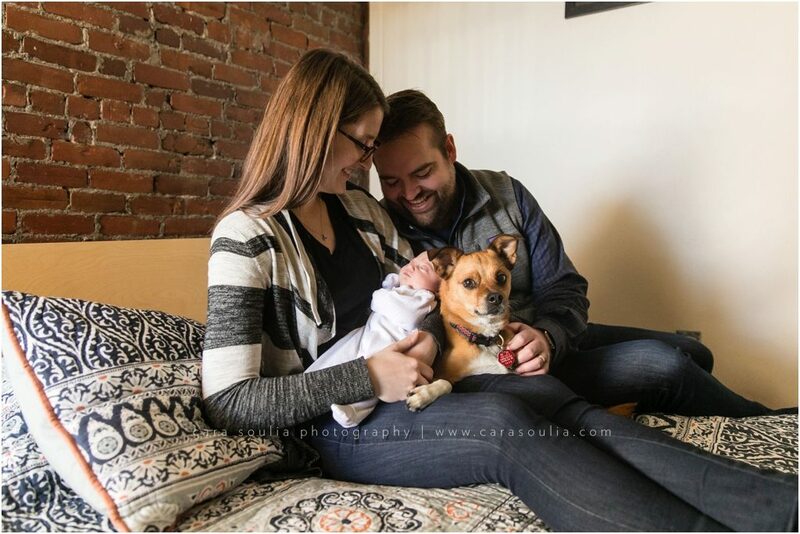 The first real baby in the family is their dog Rascal. 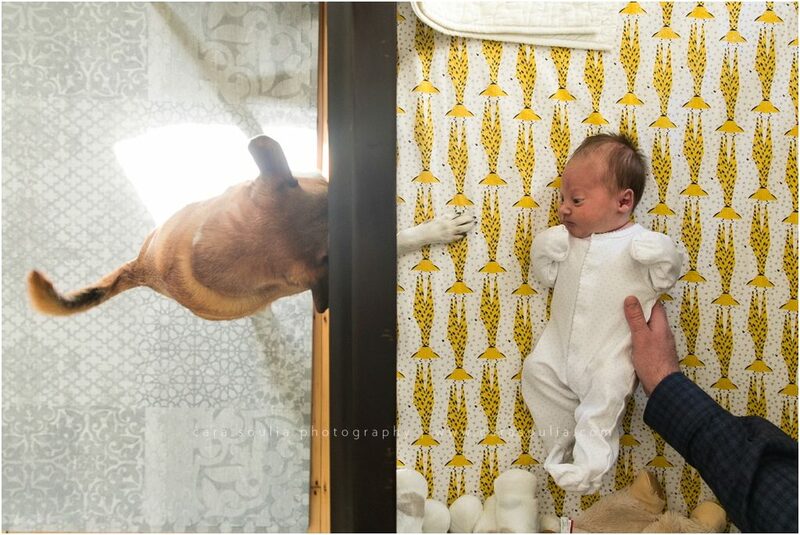 I loved when he stood up on his hind legs to peek into Baby Margot’s crib, reaching his paw in to give her a little pet. 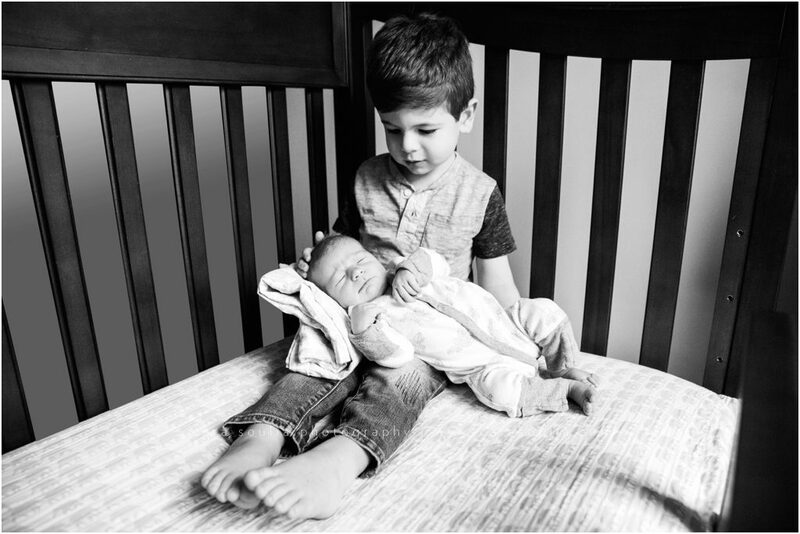 It was an adorable moment between siblings. 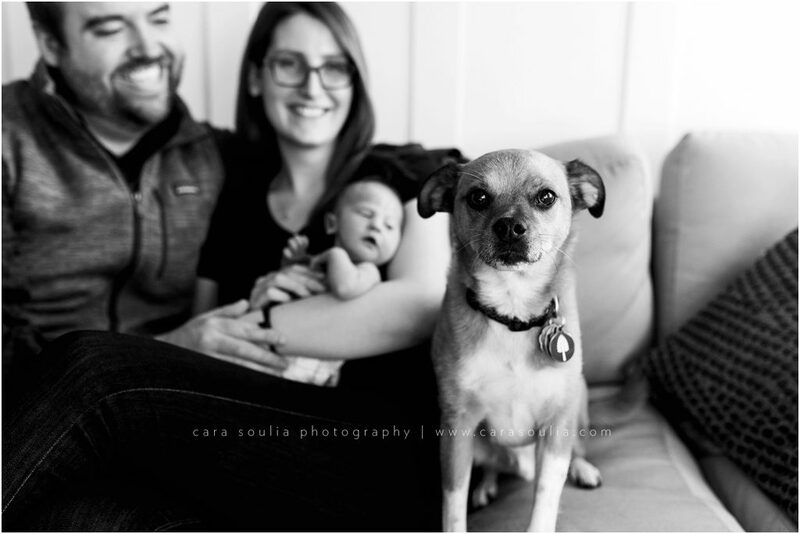 Rascal was such a good boy and very curious about the new little addition to this perfect family. 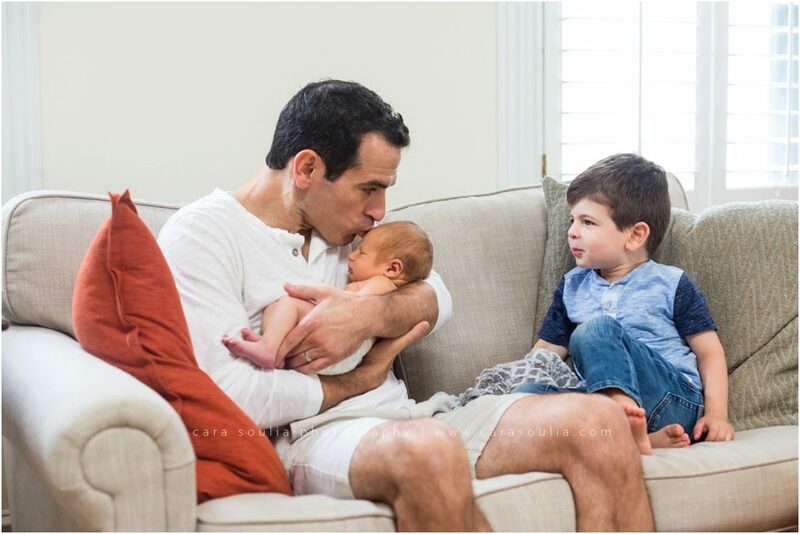 They’re all so in love with this new little baby girl! 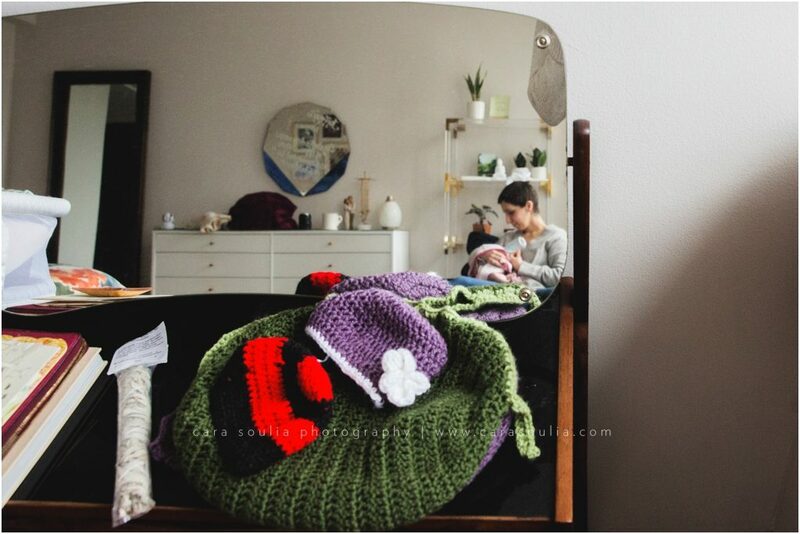 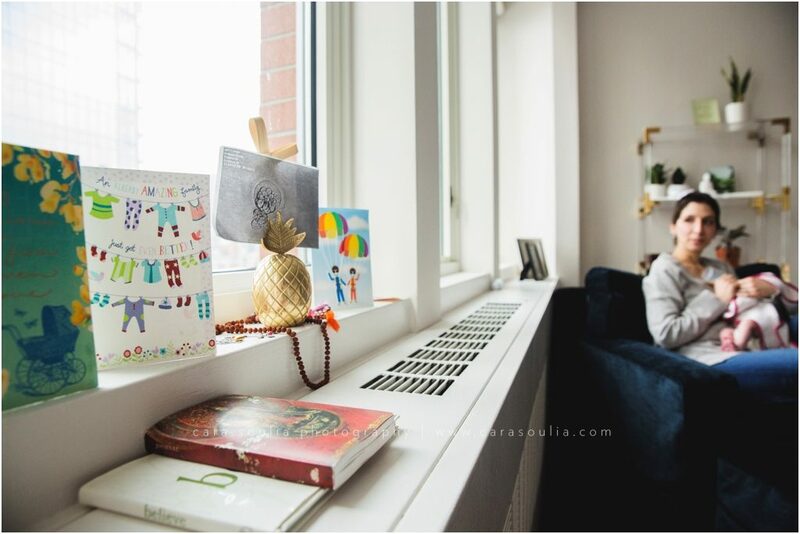 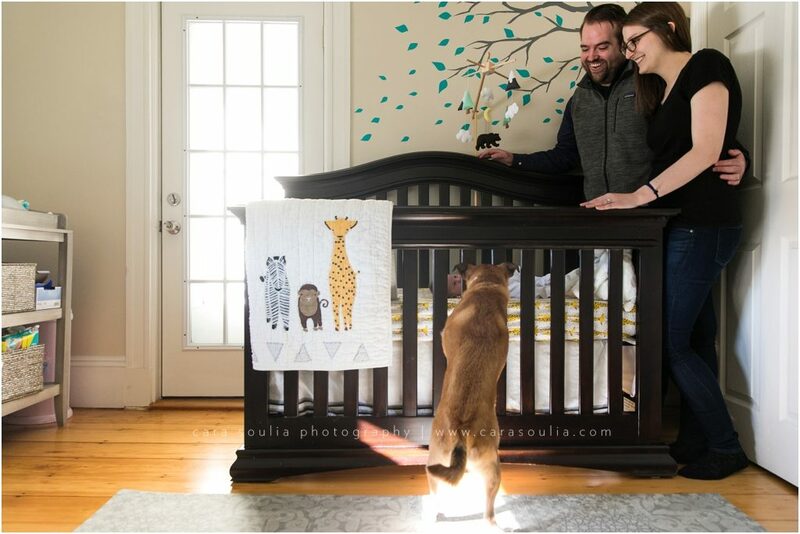 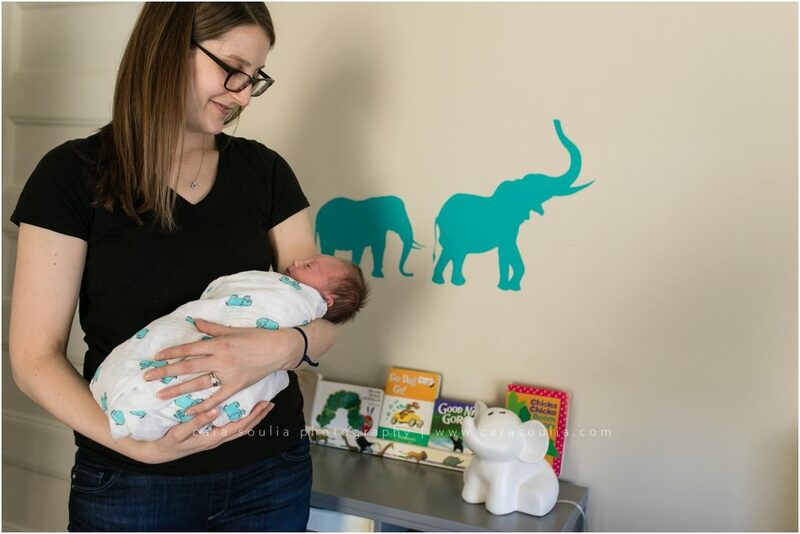 Everything about this home, from the red and white crochet baby blanket to the giraffe-patterned cover in Margot’s crib made this family so much fun to capture on camera. 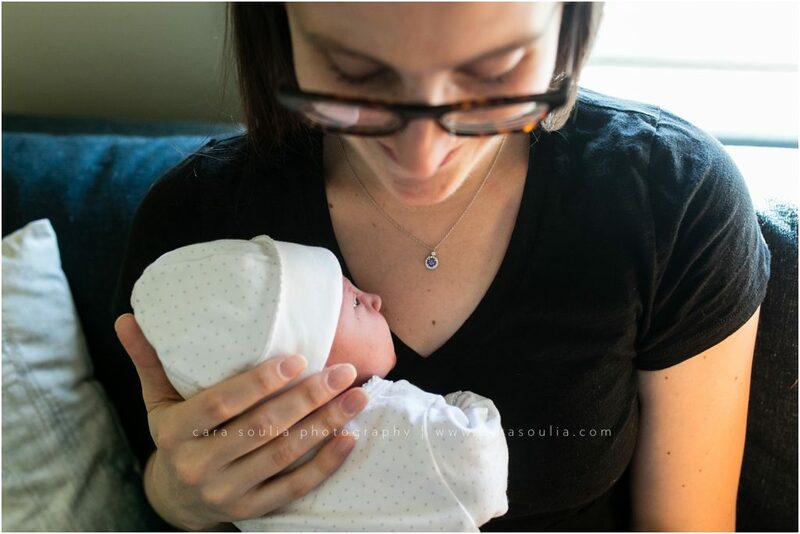 I loved all the little details, including and especially the beautiful new necklace Dad bought for Mom with Baby Margot’s birthstone. 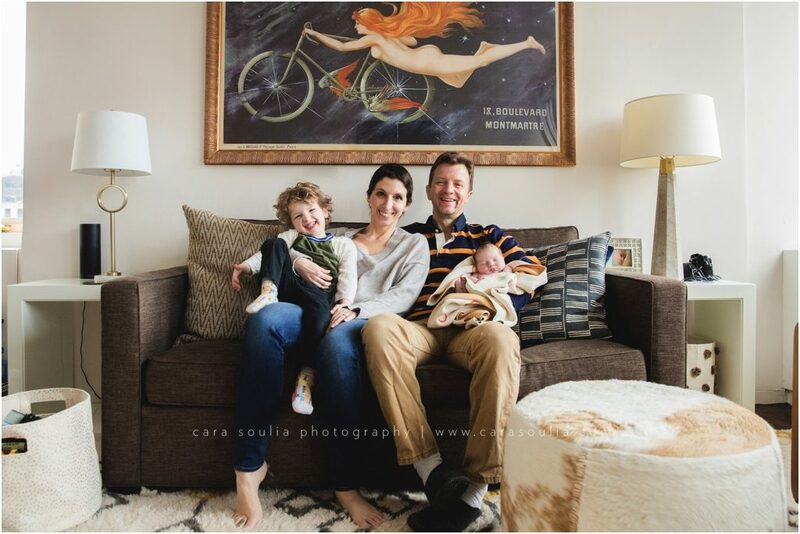 I love coming down to Brookline Village for any kind of photo session and these guys live right near it! 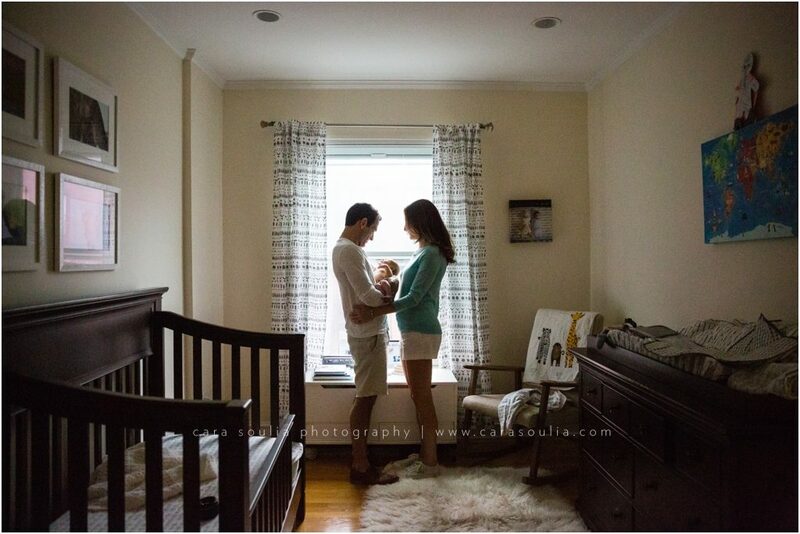 They live right next to a wonderful park where they will soon be out walking their little girl. 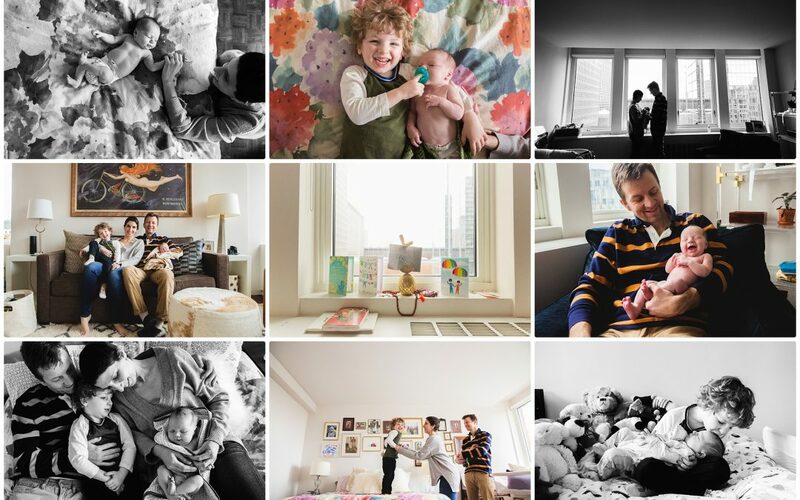 I’m so happy for them and I’m SO glad they asked me to come into their home and capture these wonderful moments. 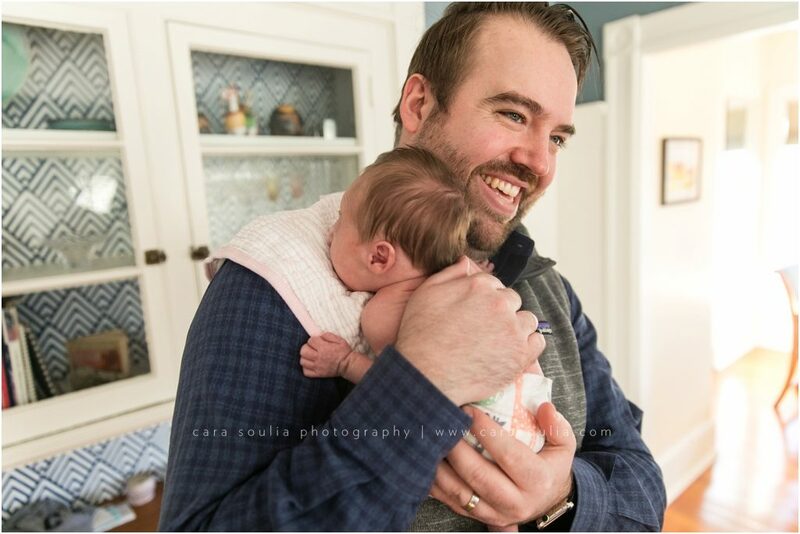 The smile Dad had on his face while holding his baby girl and how Mom held her so close, not wanting to let go, it had me absolutely melting! 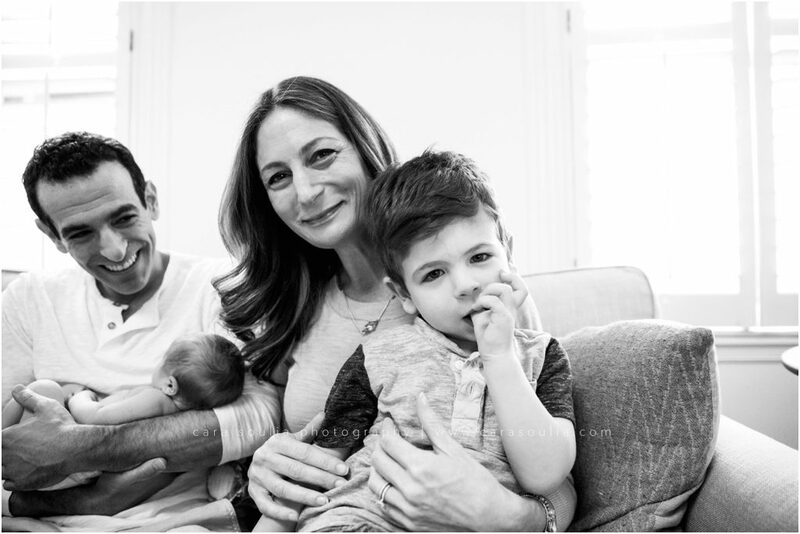 Such a beautiful family and I wish them all the joy and happiness they can handle as they watch little Baby Margot grow up. 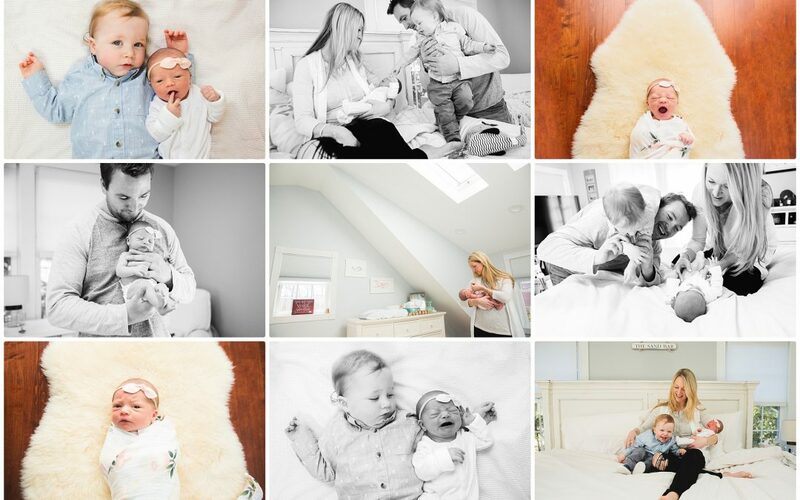 Looking for a Boston Newborn Photographer? 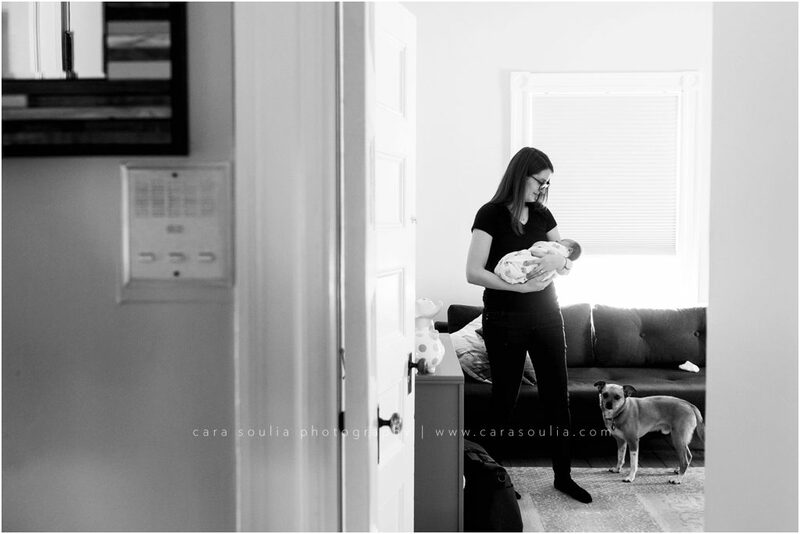 Thank you to this wonderful family for inviting me to capture their newborn photography session. 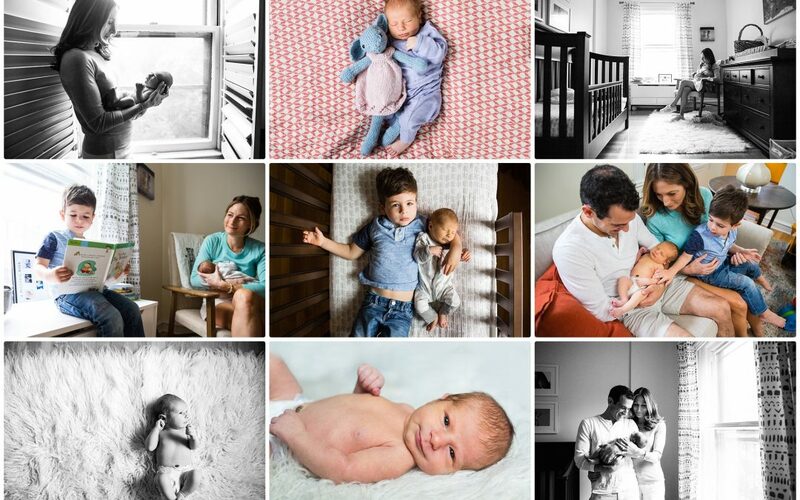 If you are expecting a new arrival and are interested in getting more information about scheduling a newborn photo session, please make sure to contact me! 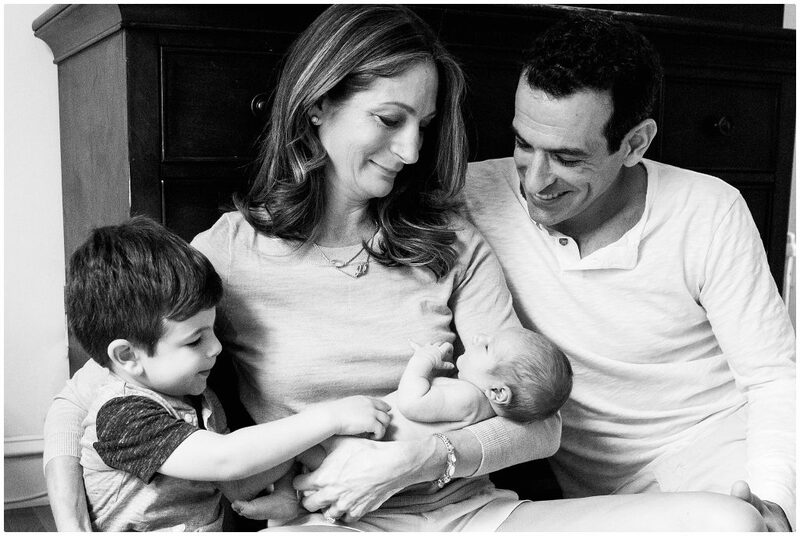 As a mother of three, I know all about how fast these moments can fly. 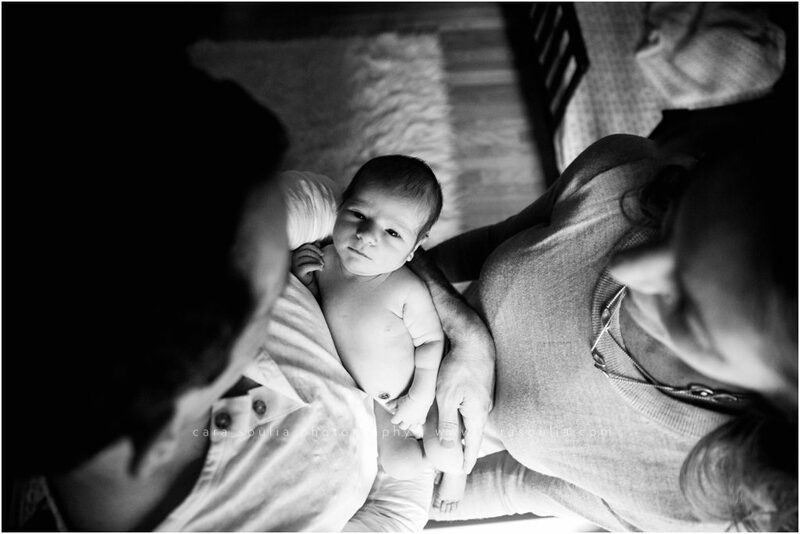 While the nights are long, the years are short. 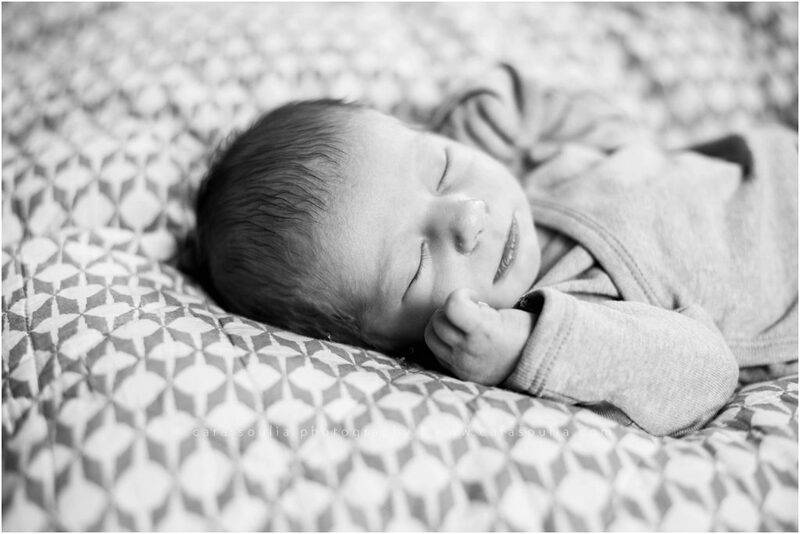 Please click here to fill out a contact form and I will be in touch. 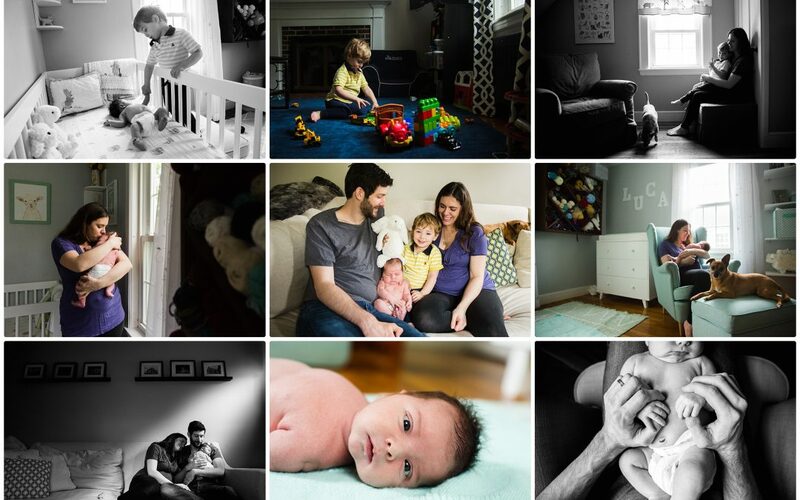 And, of course, make sure to check out my other recent newborn photography sessions in Brookline, Boston and beyond! 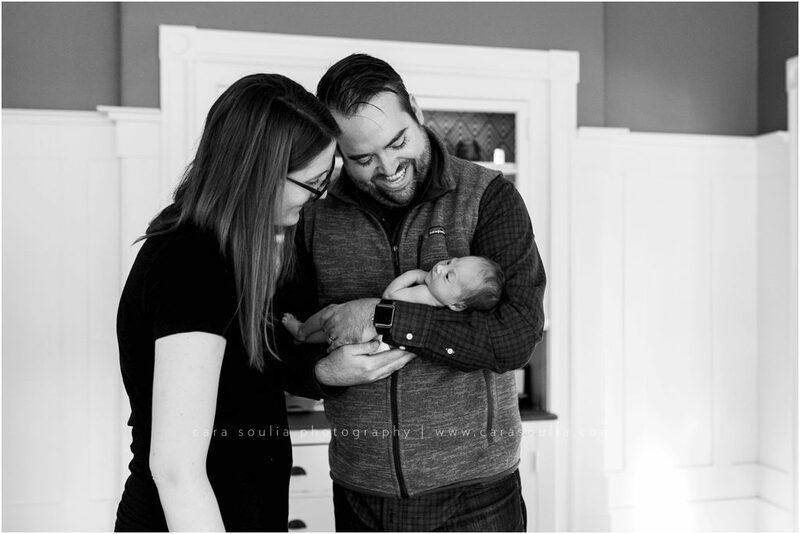 Welcome to the world, Baby Vivian! 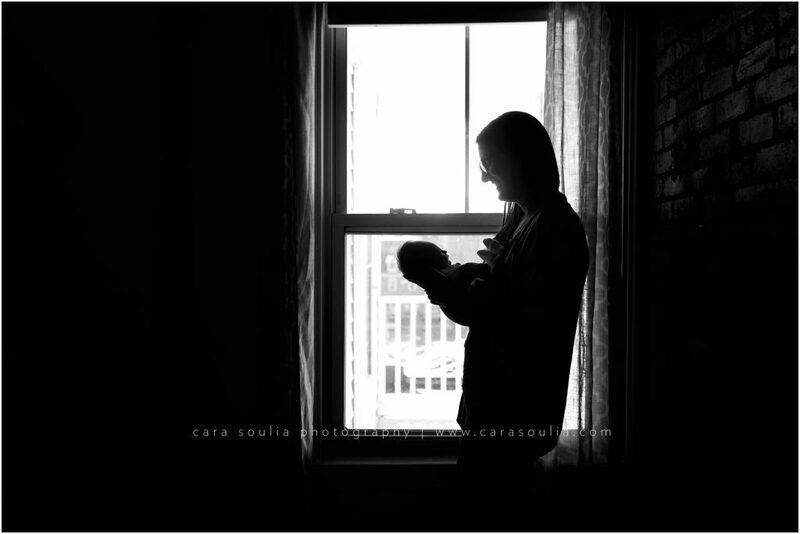 I was thrilled to photograph this little girl in Back Bay, Boston, just 7 days after she was born. 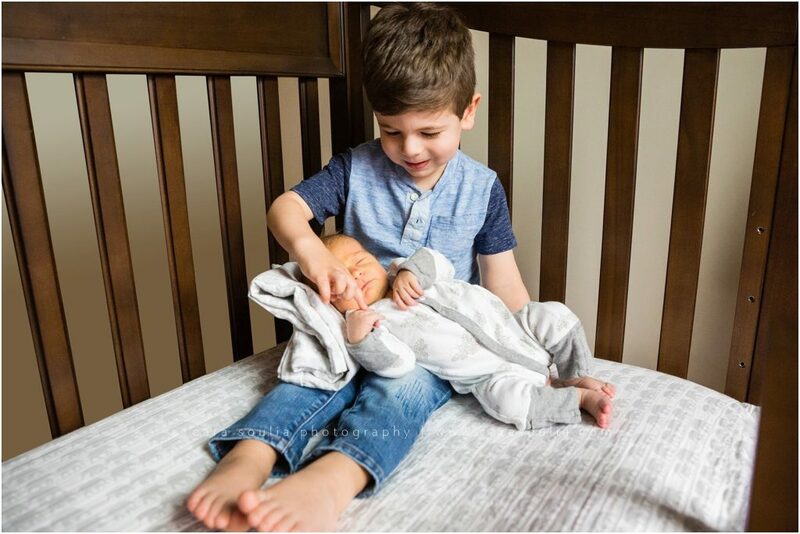 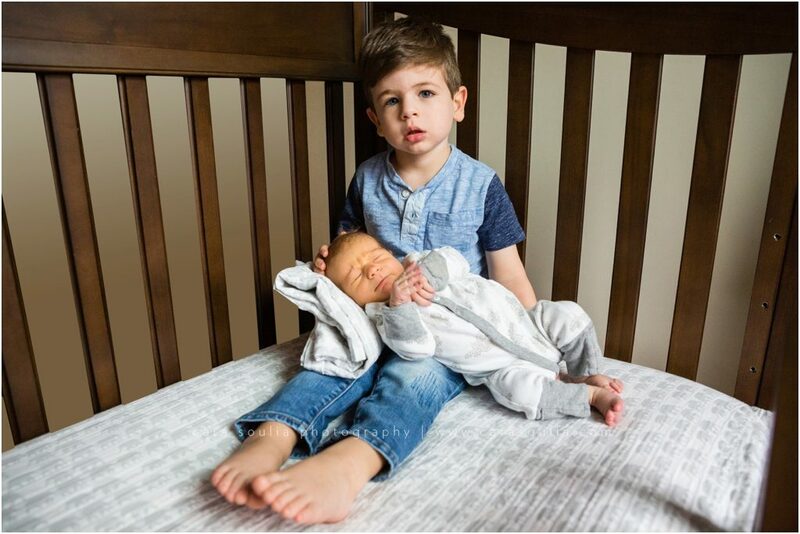 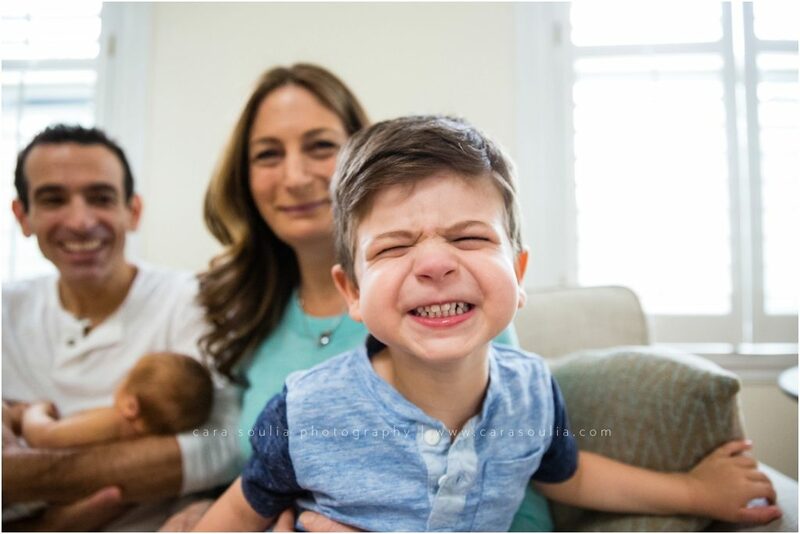 I already knew this family after having done a newborn session and then one-year session for big brother Miles, so when I heard that they were expecting again, I couldn’t have been more thrilled! 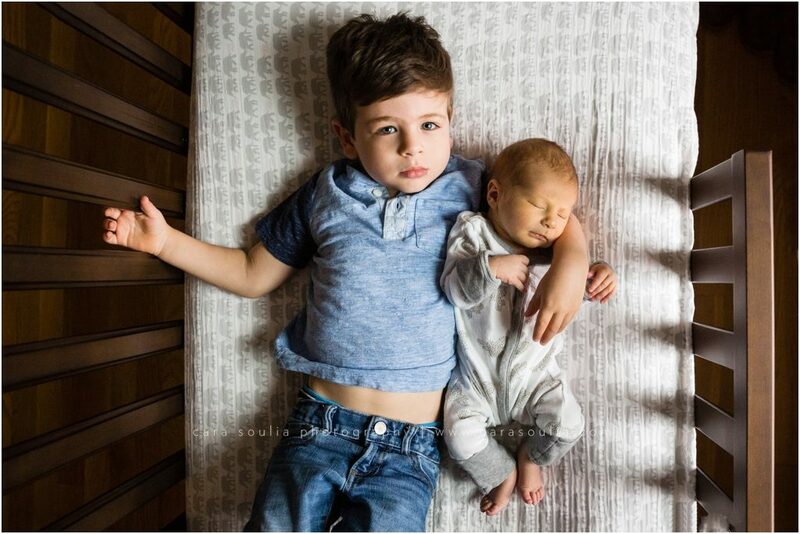 I love when families get to experience a boy and a girl (I have two boys and a girl myself) because it’s so interesting seeing the difference between raising boys and girls. 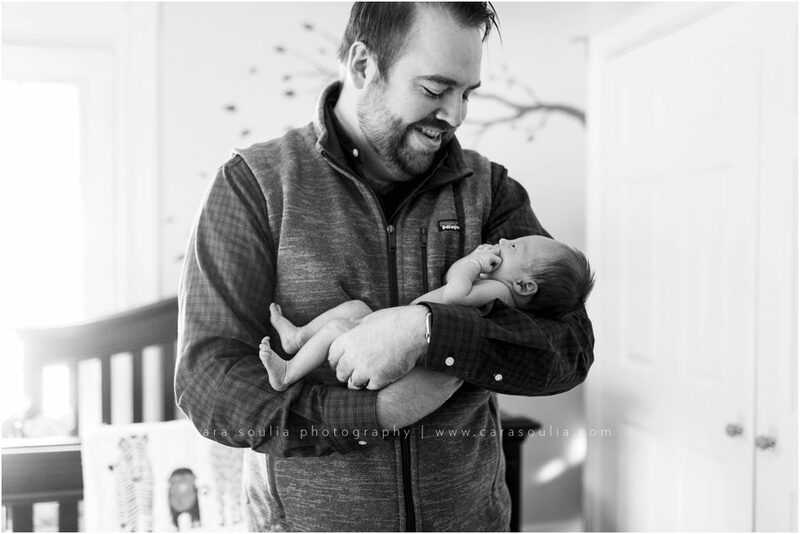 It was so much fun to see how much Miles has grown. 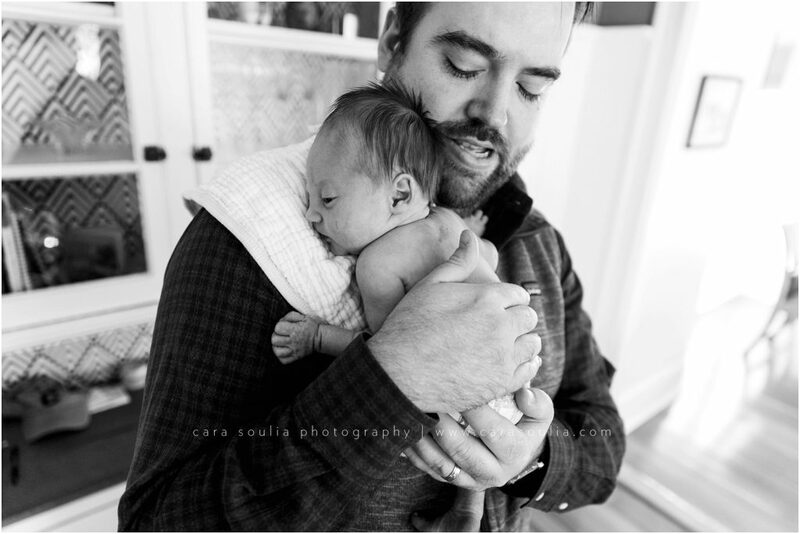 This is one of the reasons I love having return clients: I get to see so much more than just those baby milestones. 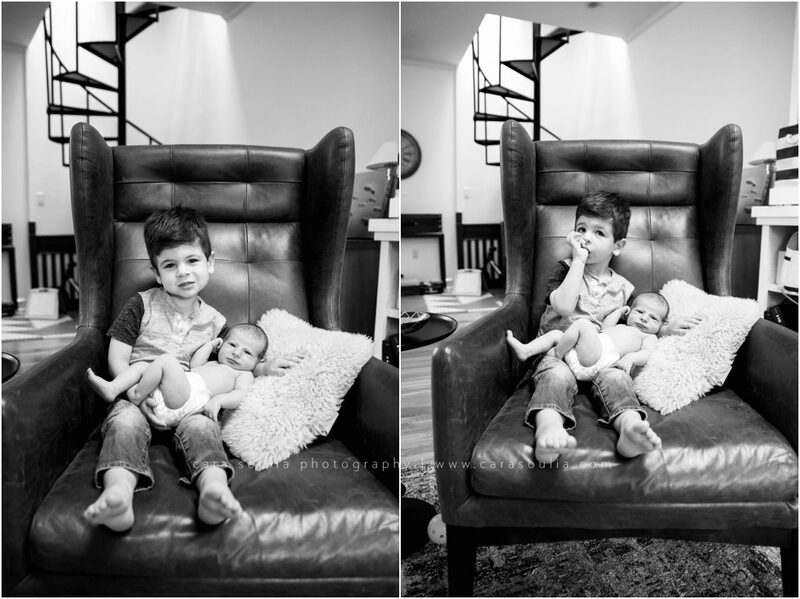 I get to see these kids turning into their own little people! 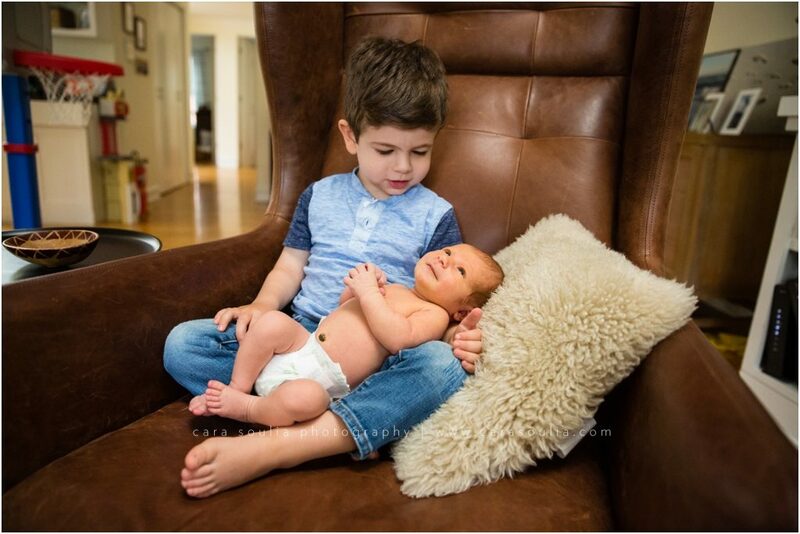 And watching Miles taking on the role of big brother was too fun. 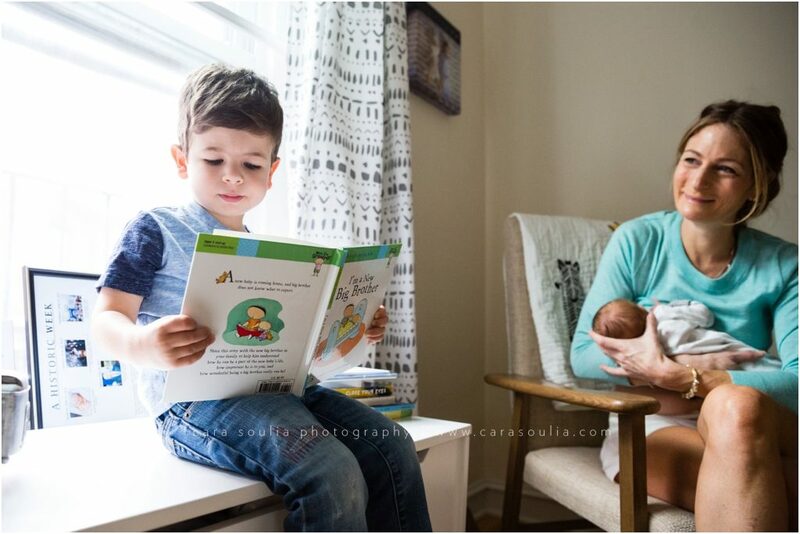 One of my favorite images of the whole day was when he read his “big brother” book while Mom was looking on and smiling. 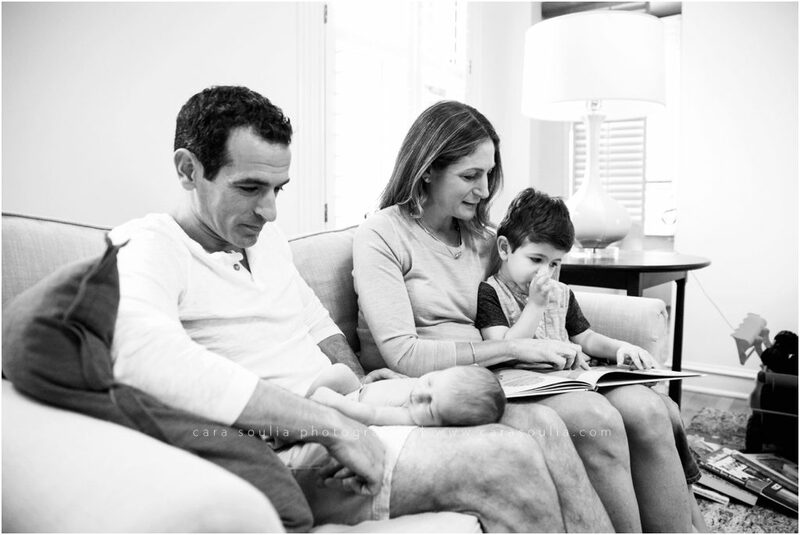 But my favorite moment was probably when I got the most unconventional family portrait that really captured their daily lives. 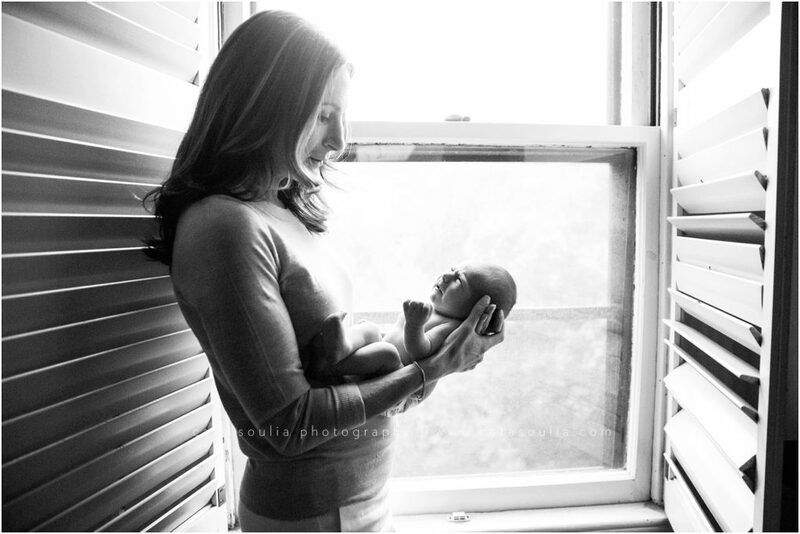 Miles was jumping on the bed, Mom was feeding the baby—this is life for this family, and I wanted to do it justice! 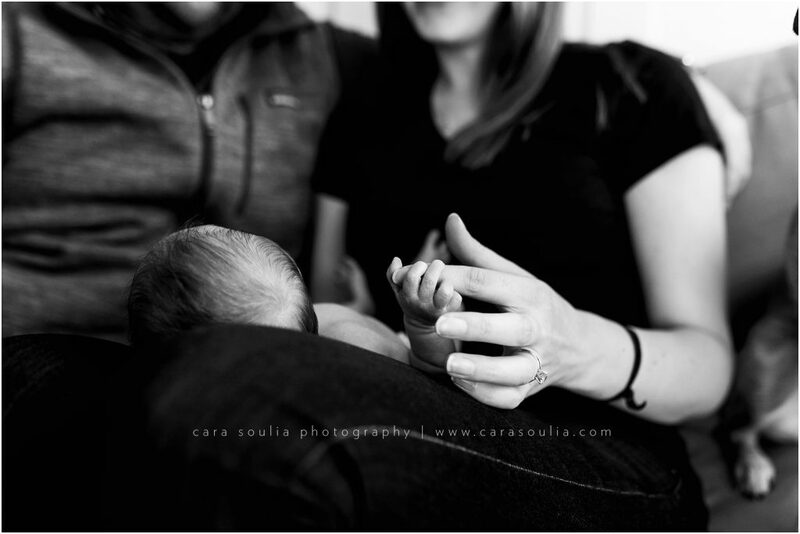 After all, this will all be a blur someday, and I want to capture those moments while I can! 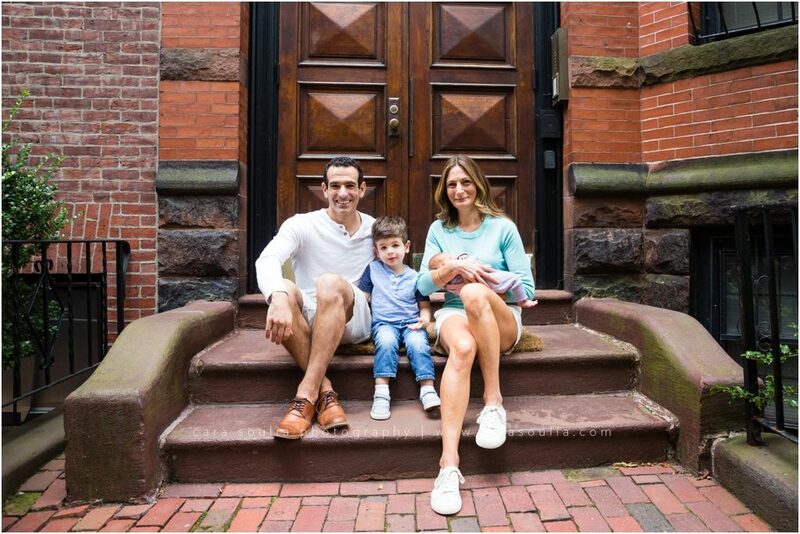 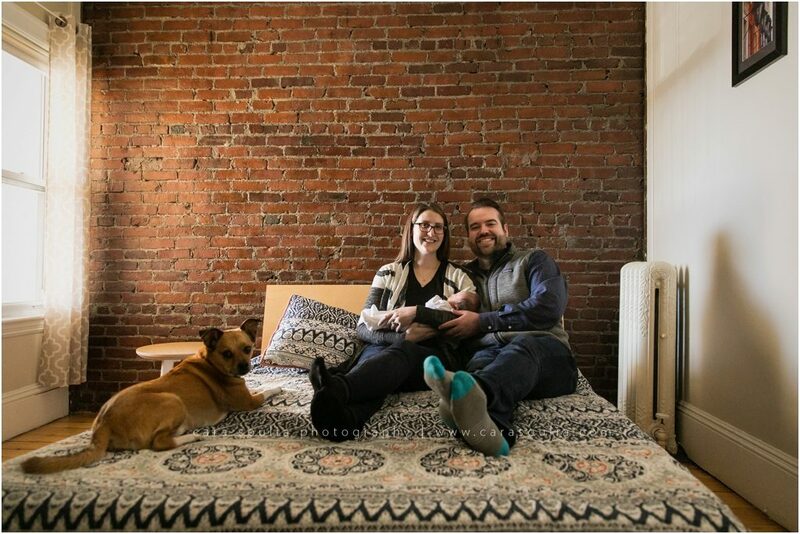 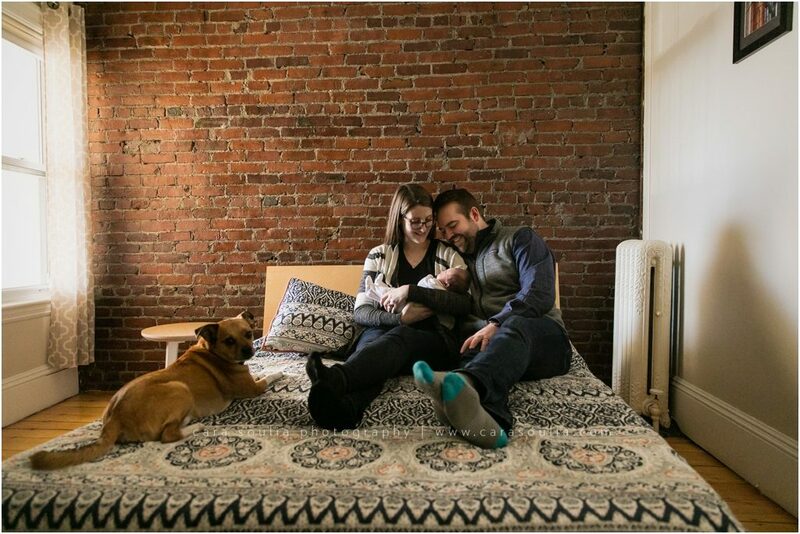 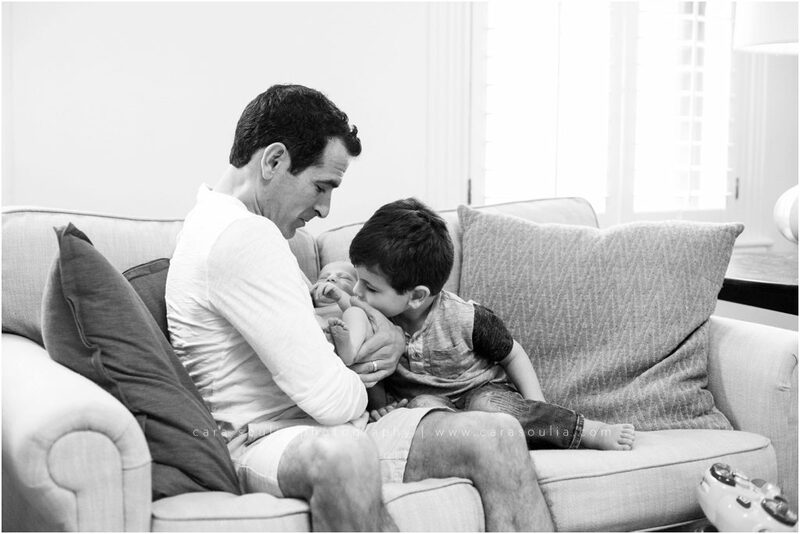 This family lives in one of those quaint old brownstones in the heart of Back Bay. 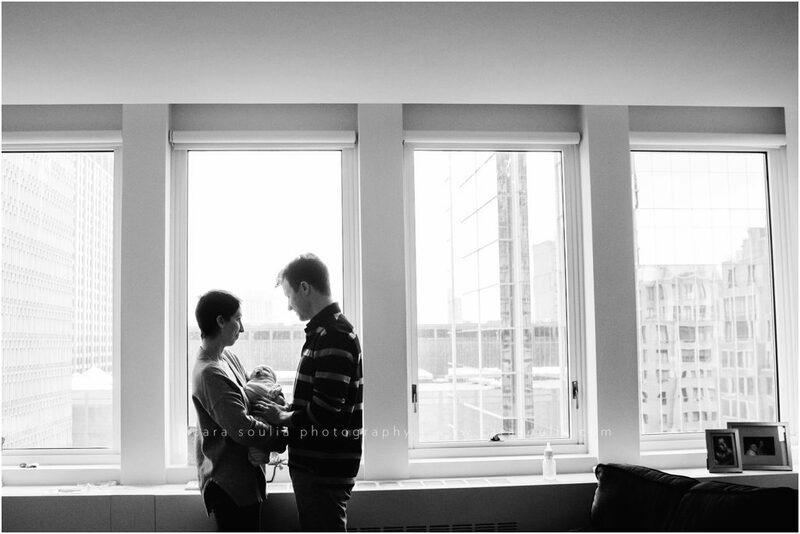 It was a beautiful day in Boston, with light streaming in through the windows. 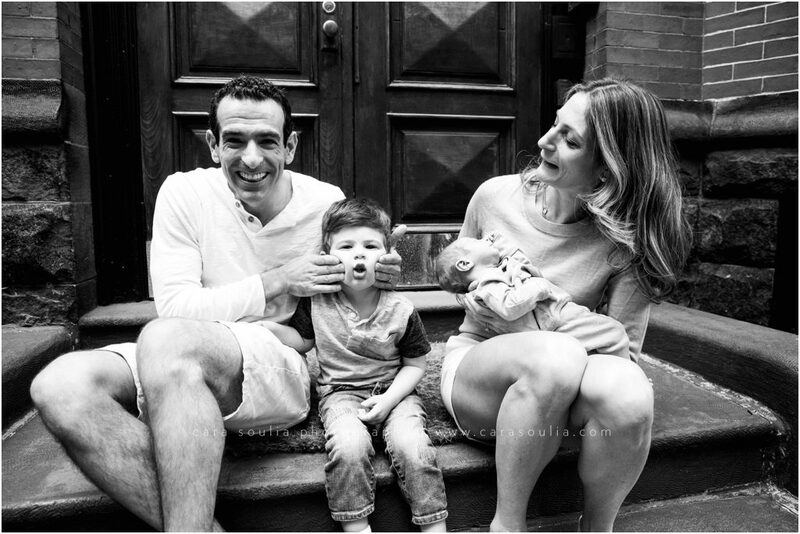 We even got to go outside for some family photos on the front steps at the end of the session! 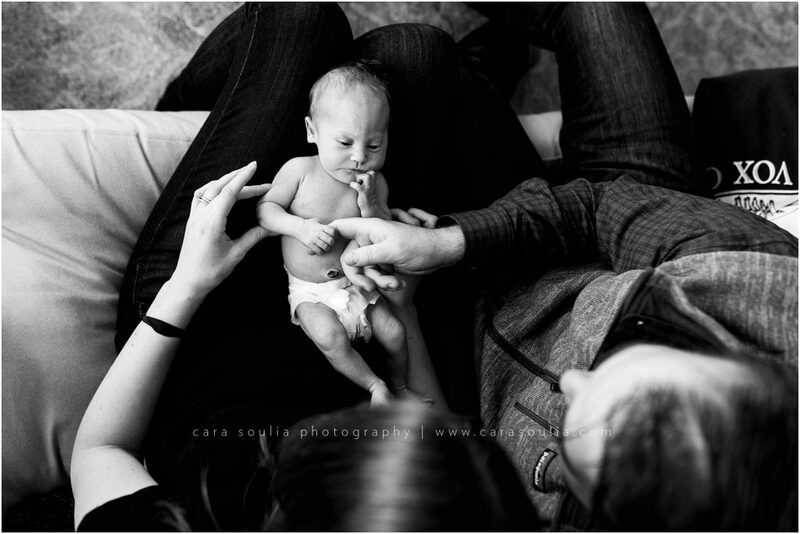 Thank you, Mom and Dad, for allowing me to photograph your beautiful family. 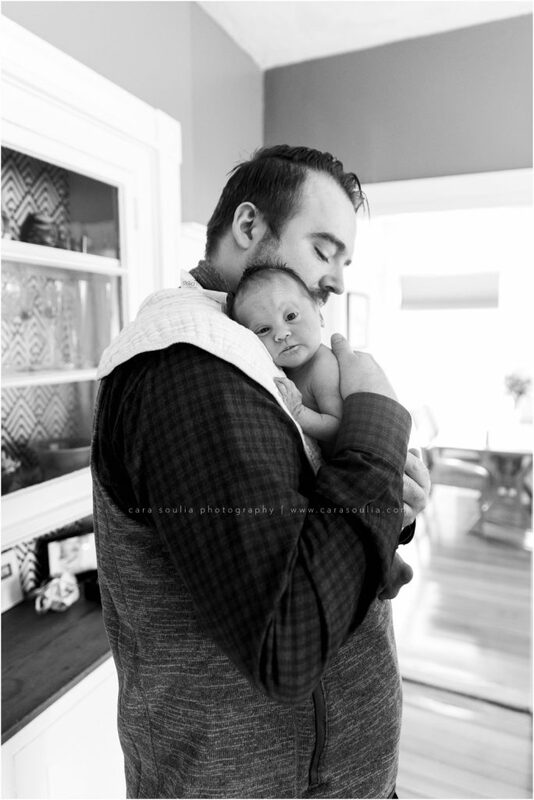 It was such a treat to see how much you’ve all grown! 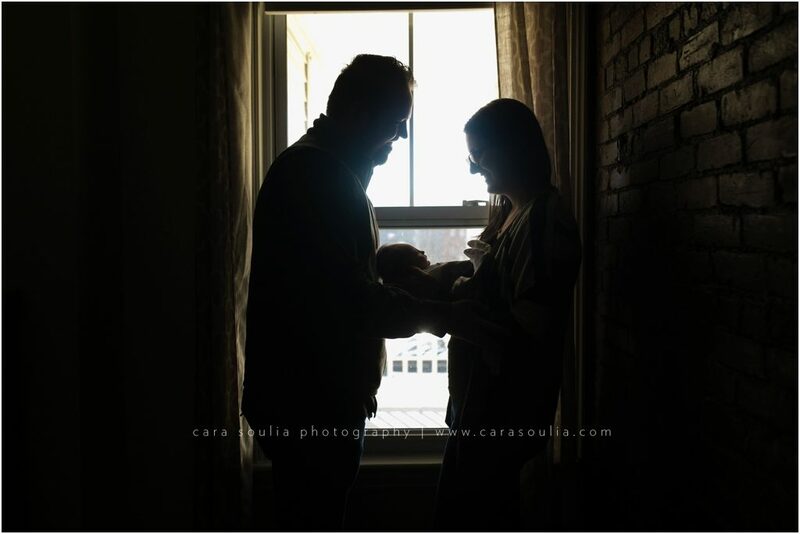 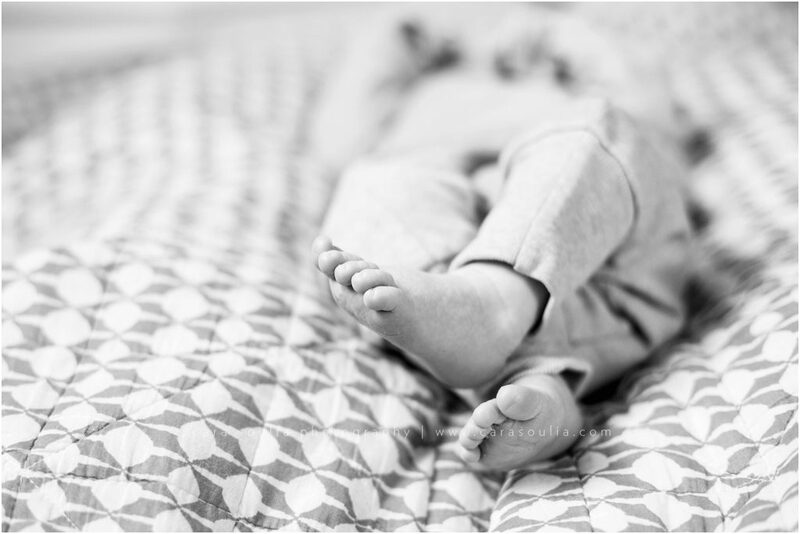 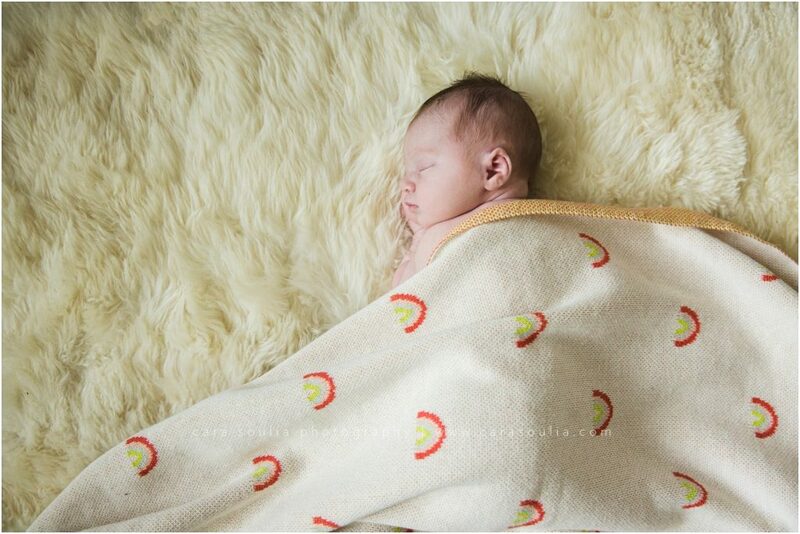 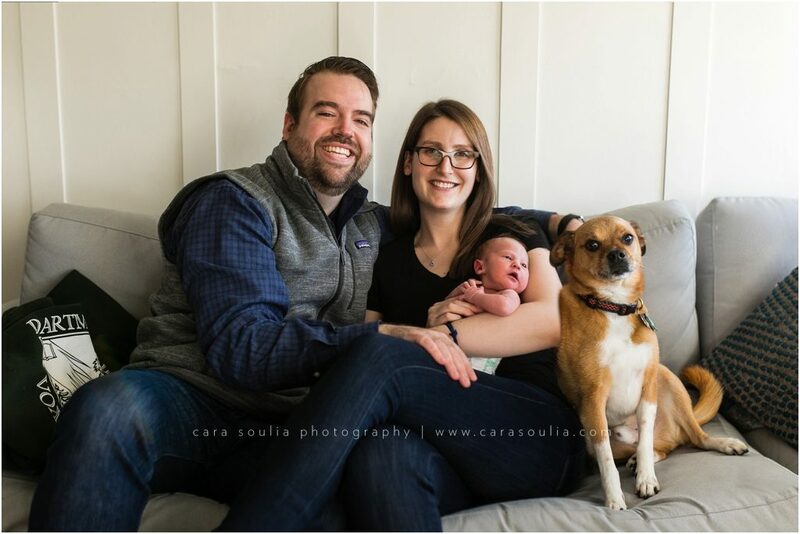 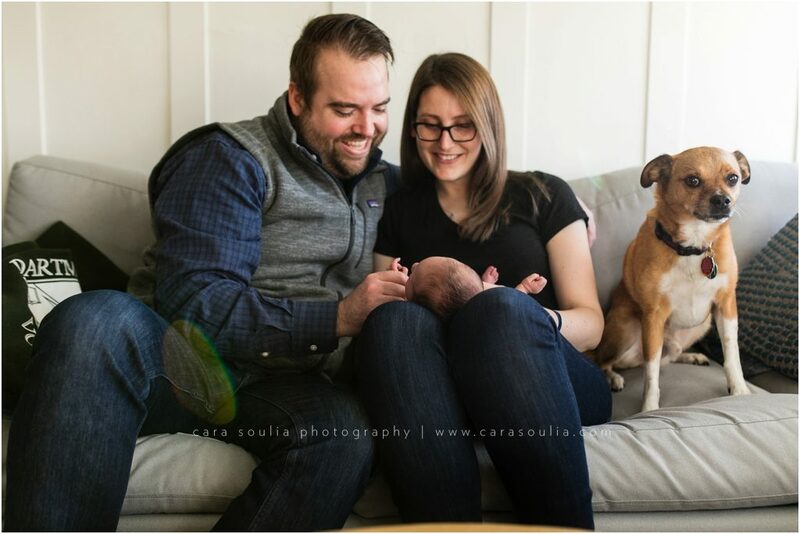 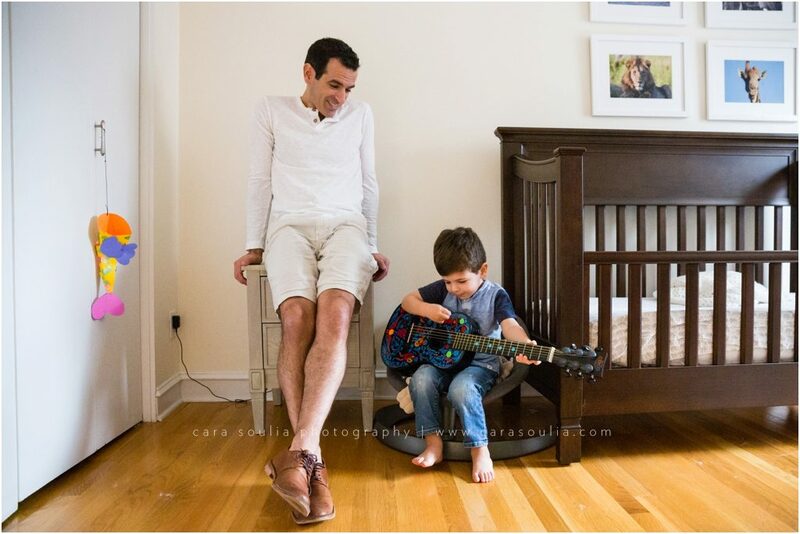 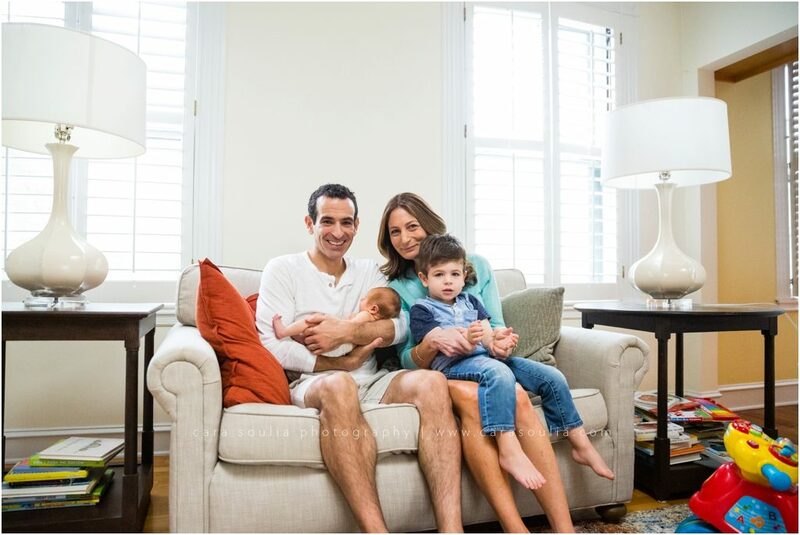 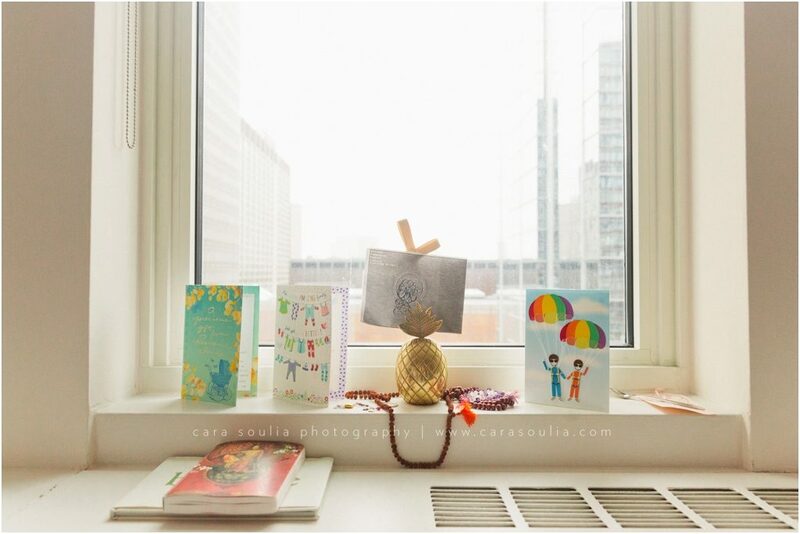 Cara Soulia is a Boston Newborn Photographer who specializes in capturing natural moments in a beautiful artistic way. 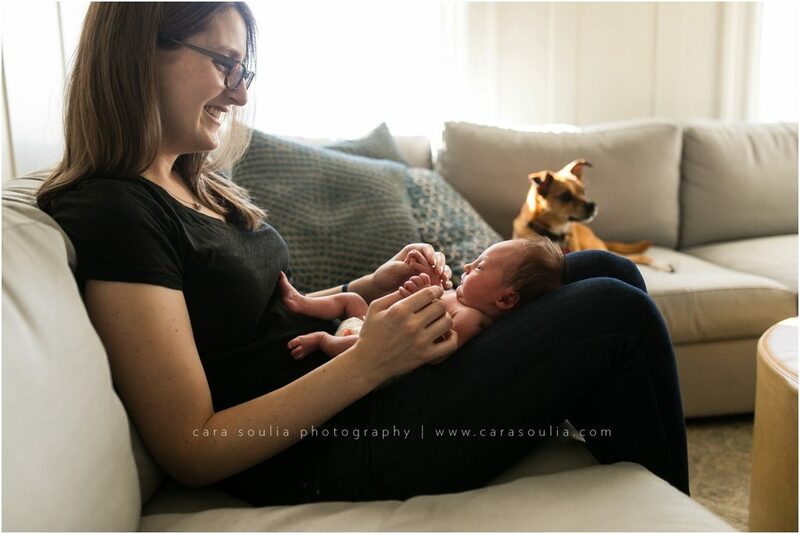 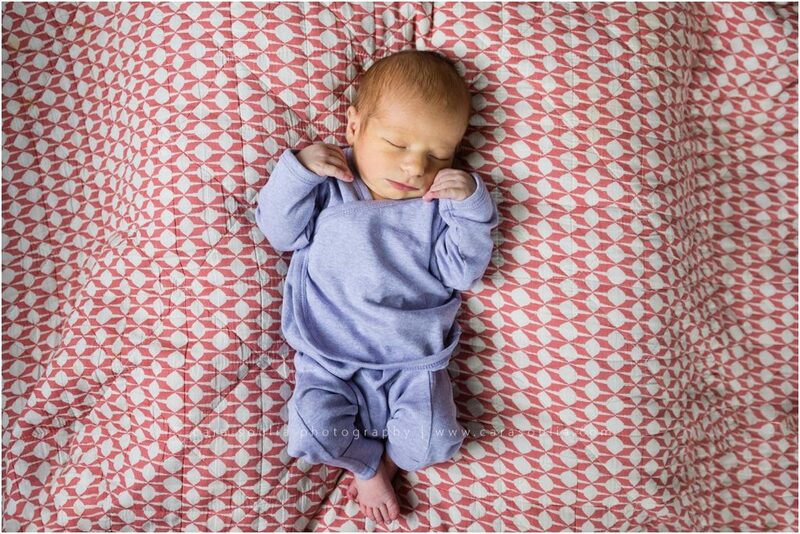 Cara captures your most important memories during relaxed newborn sessions at your home. 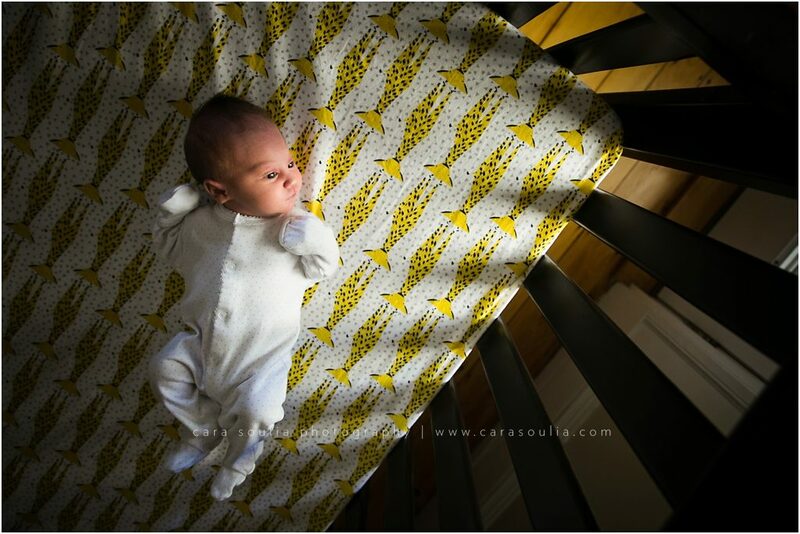 Please see more of Cara’s newborn work here or get in touch to find out more about scheduling your newborn session!